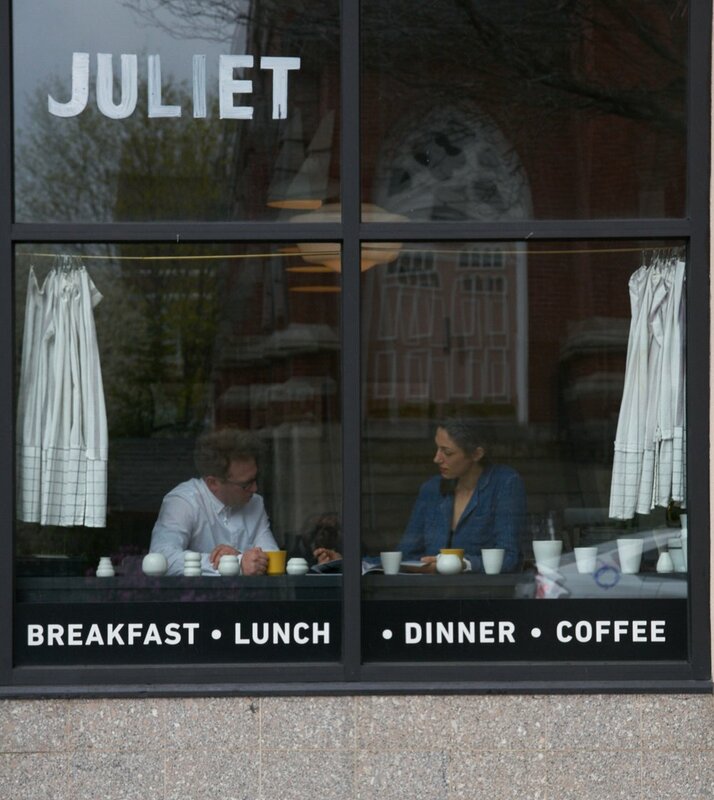 Produced and managed by the staff of the award winning restaurant, of Juliet is not only a fulfilling creative project, founded on Juliet’s characteristic excellence in craft, but also an experiment in developing economically viable support structure in the arts. Contributors and staff share in the profit of the project. Like the restaurant itself, supporting this endeavor not only provides a unique and fulfilling experience for fans and readers, but an opportunity to develop skills and be paid for them, for those involved in the creation. Free to read online since 2019, of Juliet is supported through optional subscriptions, accepted on a Pay What You Can basis. Please feel free to enjoy here, as often and as much as you like, but if you can…support options begin at $1 per month ($5 for print subscription delivered to your door). Your support will go directly to sustaining our minimal expenses, 80% of revenue collected above that is returned right to our contributors. Revenue retained by the company is reinvested in new projects in media, and new opportunities for our team. Prospect Tower Observation is the self-produced, diy friendly, media tentacle of the hospitality group behind some of the Boston area’s most highly acclaimed, and highly independent, restaurants, by Joshua Lewin and Katrina Jazayeri.